Valuable not only for their sublime musical expression, the African American spirituals give us profound insights into the human condition and the Christian life. Many focus on an essential scene of the Christian drama: the coming of God as the child in Bethlehem and as the hope of the world and the liberator of God's oppressed people. In these devotions for the season of Advent, Luke Powery leads the reader through the spirituals as they confront the mystery of incarnation and redemption. 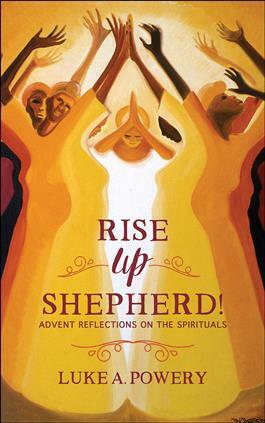 In Rise Up, Shepherd! each devotion features the lyrics of the spiritual, a reflection on the spiritual's meaning, a Scripture verse, and a brief prayer.